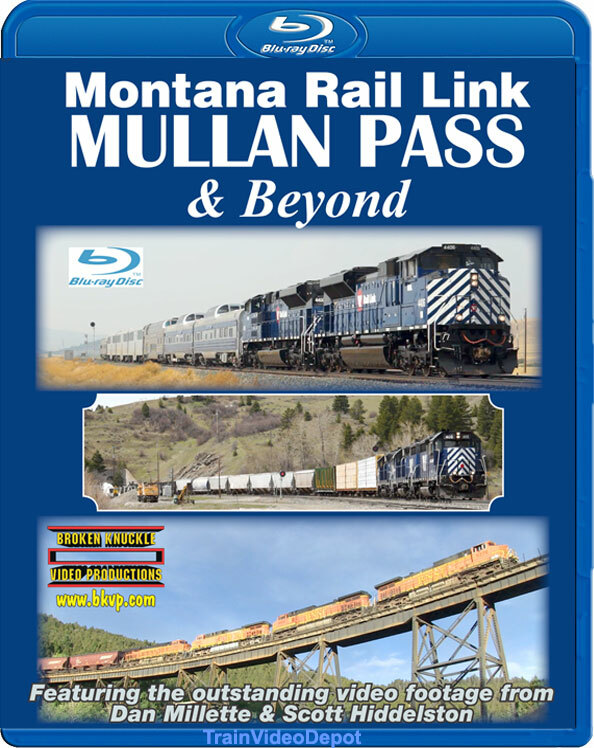 This exciting program is over 3.5 hours on two discs and is the result of two talented videographers combined with our 30 years of experience of producing Railfan entertainment. 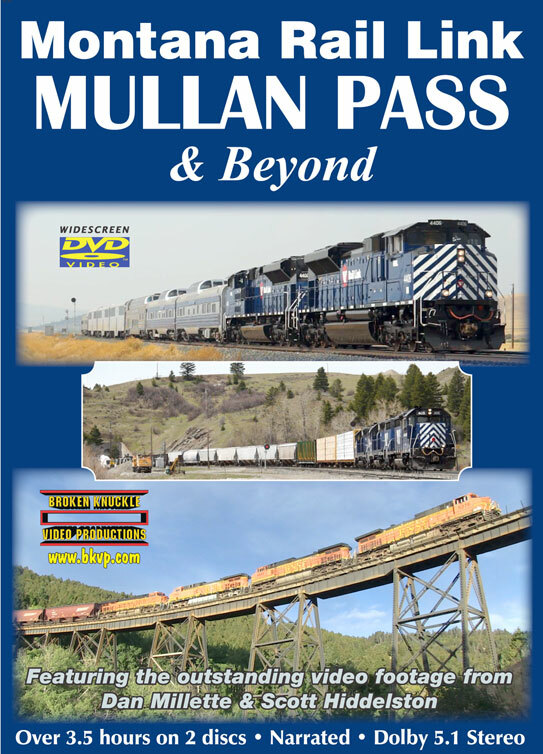 Extensive coverage of the dramatic Mullan Pass featuring many angles and locations. We'll also cover Bozeman Pass, Lombard Canyon, and many other great spots. Informative narration will explain what you see, but not ruin the earthshaking roar of the locomotives. No other MRL program offers this much content & quality for such a great price, and even better, this is one of the few MRL programs available on rich, sharp and true 1080p HD Blu-ray or widescreen DVD! rrvideoman (Delisle Saskatchewan, Canada.) on 2018-06-15 19:44:28. Absolutely the best railroad video made today on the trains of the Montana Rail Link. I think it is the best rail road video produced in 2018 so far by any one in any region. The view points are well done, narration is excellent, and even some surprises along the way like cows being on the tracks. Wonderful views of the many trestles in the region. And don't miss the double horse shoe either. The videographers and producers deserve the highest of praise for this outstanding production. 5 Star all the way. dmacleo (Etna ME US) on 2018-06-16 08:17:56.
lot of interesting shots and lot of narration. only "issues" I had were there was no narration off option easy to fix, mute volume) and train noises were a LOT louder than narration. this led to listening to narration then suddenly blasted by noise. still, good purchase and good deal. Run8anderson (Yardley, PA) on 2018-07-25 19:32:54. If this was an ordinary production, it would be a good deal for 3 1/2 hours of video. BUT......this is superior videograghy from some of the most unique locations I have seen, excellent research, narration and editing.......this is one of my most valued videos !! Curt (CA) on 2018-08-02 17:32:11. Definitely a "2 thumbs up" purchase for me! Lots of fantastic scenery, particularly at Skyline Trestle -great angles, perfect lighting, and plenty of trains! Covers the entire region in a well-documented fashion. A little too much focus on locals, but that's just a personal preference with me. Again, highly recommended, and one of the best dvd's covering the MRL!